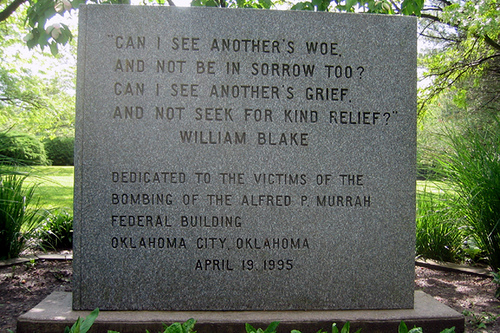 I was living in Oklahoma City in 1995 and felt the bomb shake my house that killed 168 people and wounded countless others. I remember the collective grief. The feeling is echoed this summer. It seems fitting to post this scene that was inspired by that moment in history. My mouth dropped open. Jason had never said a word about any personal involvement with the bombing. Come to think of it, he never bragged or appeared on the ego trip associated with successful lawyers. He issued a low grunt, wiped his mouth with his napkin, rose, and made his way to the front of the room. The audience applauded politely, as he took his place behind the podium. He stood quietly before the crowd, taking their measure as the applause died down. His voice filled the room with his remembrances of the blood, smoke, fear, and valor brought forth following the terrorist attack on the American heartland. We revisited the day again through his eyes. How he carried dead toddlers out of what was left of the day care center…calmed hysterical people searching in vain for loved ones…helped organize a triage center. He’d stared helplessly at the fragmented, blackened mass of concrete, glass and twisted steel that had so recently been an orderly structure of offices, reception areas, and snack rooms. Everyday people were working to support their families and fulfill their place in the world when a misguided, angry young man wiped them off the face of the earth forever. Jason didn’t want to remember, but he couldn’t let us forget. 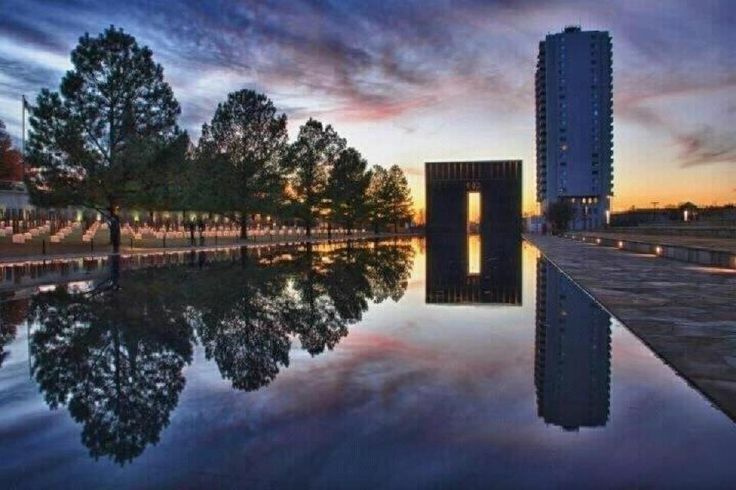 Supporting the Memorial was necessary, but would never be enough for the families left behind. However, it was all we could do and must do to sanctify a place where evil had momentarily overtaken goodness. The Memorial honored the dead and encouraged the living. The audience was pulled into his word pictures and overcome with the tide of memory. Most of the women had tears in their eyes, while the men held their faces in tight masks of restraint. Jason fought for emotional control and cleared his throat on numerous occasions to keep going. His eyes found mine again and again as he related the painful details of our collective days in hell. He walked through the room as people leapt to their feet in emotional applause. Men patted his back; women wiped their eyes. He never took his gaze off me. I stood up slowly, meeting his penetrating, soul stripping stare with tear-filled eyes. He grabbed my hand. “Let’s get out of here.” I nodded, gathered up my purse and we exited into the cool of the gardens, the crowd still applauding as we stole into the night.